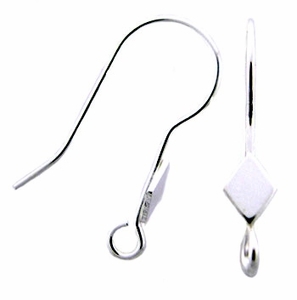 Sterling Silver fancy earwires, with Diamond shapes. Sold in packs of 10 (5 pair). This style has been discontinued by the vendor.